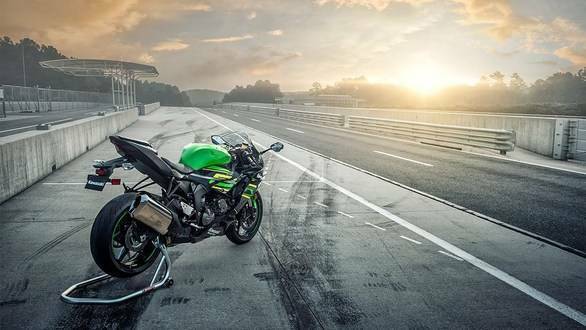 Kawasaki has commenced the deliveries of the 2019 Ninja ZX-6R in India. Pre-bookings for the bike begun in November last year, however, the prices of the middleweight supersport were confirmed last month. 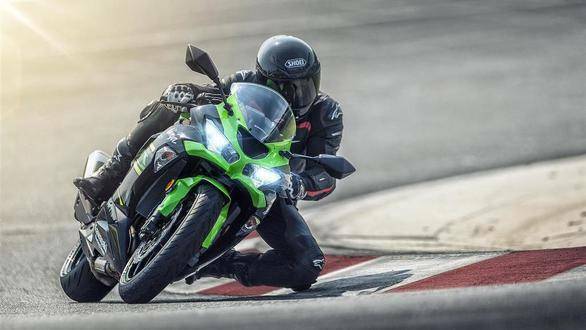 That said, the delivery of the 2019 Kawasaki Ninja ZX-6R commenced in the first week of February 2019. One example of the middleweight supersport was delivered to a customer recently in Mumbai. The Ninja ZX-6R launched in India is being assembled locally at the Kawasaki India's manufacturing and assembly unit at Chakan near Pune. The Kawasaki Ninja ZX-6R is the only middleweight supersport on sale in India right now and is available only with a Kawasaki Racing Team colour scheme. The motorcycle is styled on the same lines as its younger sibling, the Kawasaki Ninja 400, and offers a committed riding position. It is powered by an in-line four-cylinder DOHC engine which displaces 636cc. The engine produces 130PS at 13,500rpm and 70.8Nm at 11,000rpm and is mated to a slipper clutch. The bike comes equipped with Kawasaki antilock braking system (KABS), traction control with three different modes and Kawasaki quick shifter (KQS). The bike comes shod with Bridgestone Battlax Hypersport S22 tyres (120/70 R17 front and 180/55 R17 rear). The Kawasaki Ninja ZX-6R is priced at Rs 10.49 lakh ex-showroom New Delhi, however the prices are expected to be hiked soon. The Ninja ZX-6R is in a niche segment of its own, that said, the bike rivals against the Triumph Street Triple RS which is priced at Rs 11.13 lakh ex-showroom New Delhi.